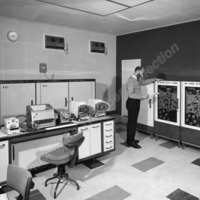 The Elliott 803 computer was installed in the early 1960s to analyse the vast amount of data obtained through the breeding trials. 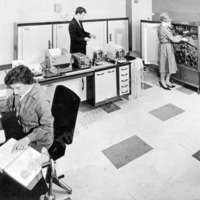 Paper tape readers in the computer room at Thornbers. 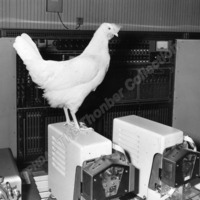 An Elliott 803 Computer was used to analyse the vast amount of data obtained in the breeding trials.